The focus of Sunday’s Super Bowl LIII will obviously be the showdown between the New England Patriots and the Los Angeles Rams. And it’s also the perfect moment to showcase NFL players’ generosity. From disaster relief to children’s causes, the players of the National Football League give back to their communities and great causes all over the world. Most of the players don’t make it to the championship game, but these guys score big at putting good into the world. 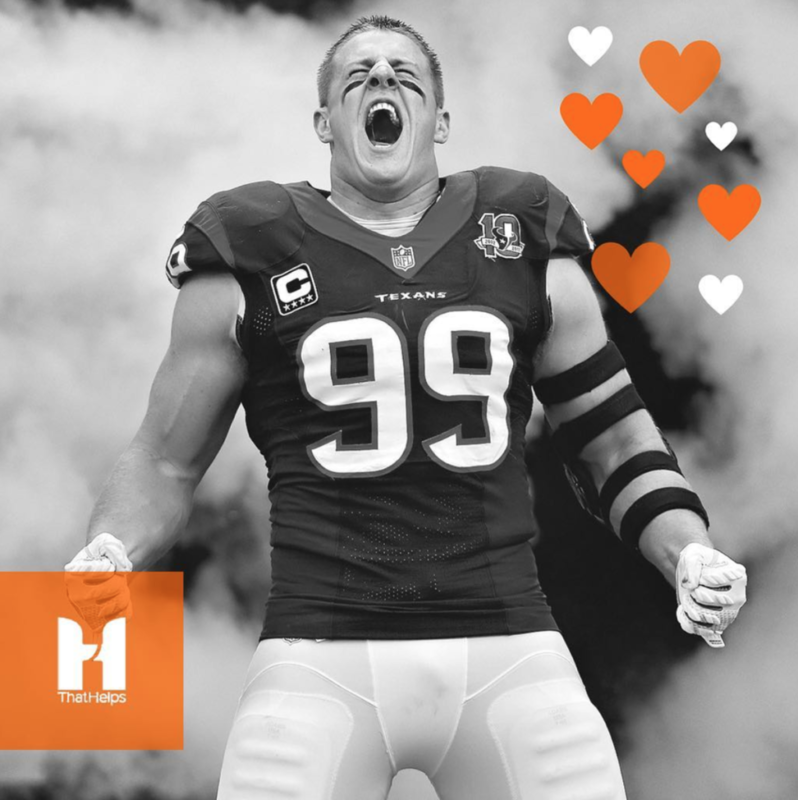 Check out these generous NFL players and share this post to spread gratitude! J.J. Watt. ThatHelps gave Watt a shout out on social media after Hurricane Harvey devastated Houston in 2017. The Houston Texans’ defensive end launched a relief fund that raised over $30 million dollars from more than 200,000 people. Among the donors: two Patriots. Tom Brady ($100,000) and Bill Belichick ($50,000). Watt hasn’t stopped helping his fellow Texans, either. He also distributed food and supplies to residents recovering from Harvey. The NFL agrees too: he won the Walter Payton Man of the Year Award! 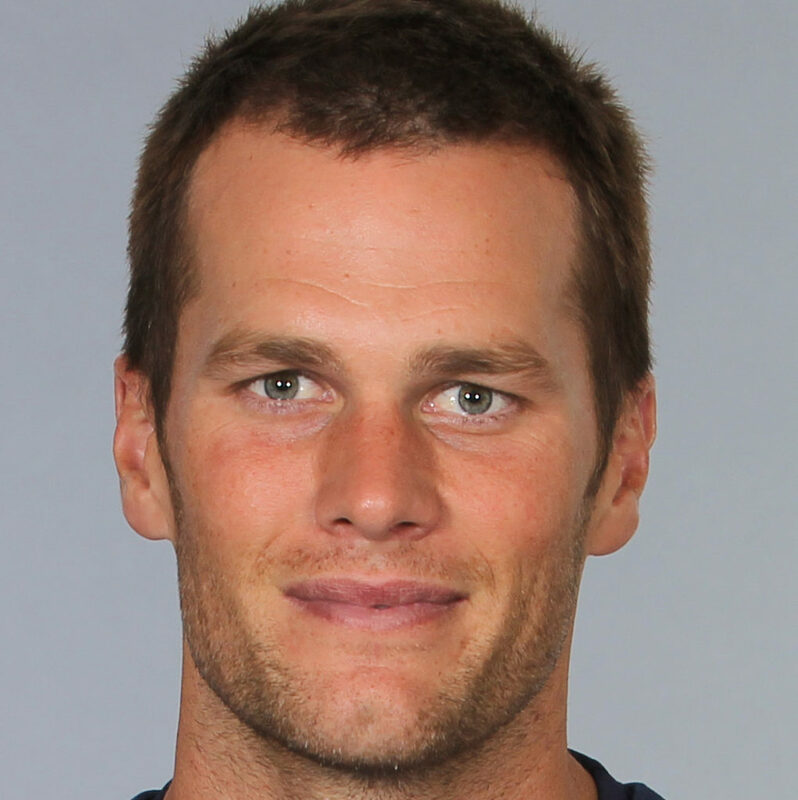 Speaking of Tom Brady… The Patriots quarterback supports a plethora of charities with his time and money, including Best Buddies International, the Boys and Girls Club of America, Entertainment Industry Foundation, and KaBOOM!, which builds creative play spaces for kids. 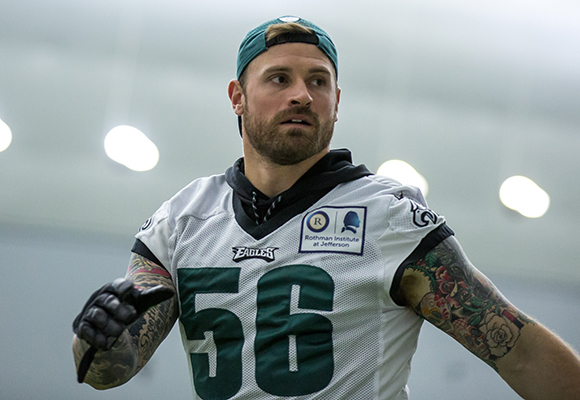 Chris Long. In October 2017, the Philadelphia Eagles defensive end announced he was donating his final ten game pay checks to organizations supporting educational equity and opportunity in Philadelphia, Boston and St. Louis. (Long played with the Patriots and Rams before the Eagles). This isn’t the first time he’s been so generous. Prior to that, he funded two scholarships in his hometown of Charlottesville, Virginia. No surprise, Long’s incredible generosity inspired other players to give to education causes, too. Drew Brees. The New Orleans Saints quarterback may not be playing on Sunday, but he’s a champ when it comes to giving back to his NFL city. In January 2017, Brees unveiled an incredible playground for special needs kids in New Orleans right in the middle of playoffs. That’s dedication. Nate Sudfeld. 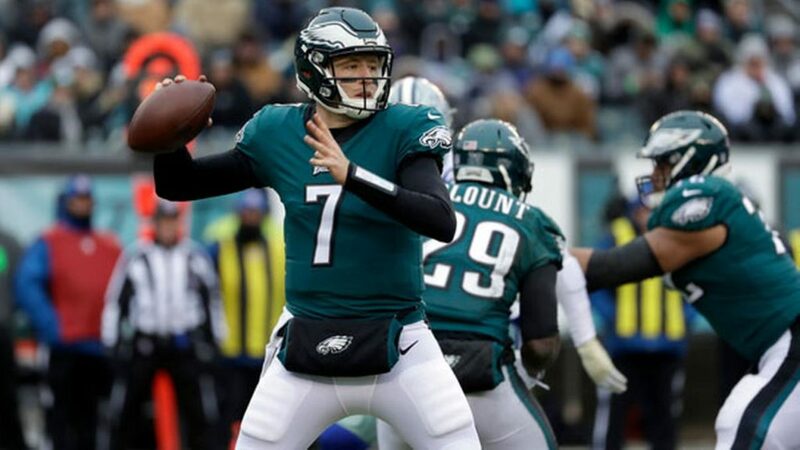 The Philadelphia Eagles’ backup quarterback was literally born with giving back in his blood. Sudfeld’s grandfather founded the non-profit Assist International, and he’s taken multiple trips to volunteer with orphans in Uganda. Football and giving back are a family tradition, too: his brother Zach, a former tight end for the Patriots and Jets, also volunteers with Assist. Ndamukong Suh. 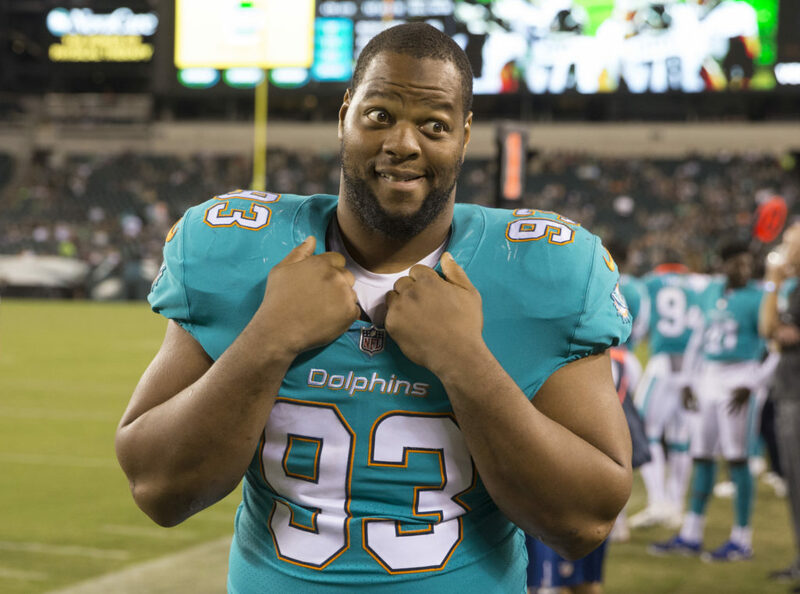 In 2012, the Miami Dolphins defensive tackle donated $2.6 million to the University of Nebraska that funded a $600,000 engineering scholarship. Suh also started a namesake foundation that creates programs and strategic partnerships around education, health and wellness and global outreach. Don’t take our word for it; Forbes also ranked him one of the most generous celebrities. At ThatHelps, we love saying Thanks when influential people give their time to causes as well as their money. Showing off good deeds spreads more altruism. It’s a proven fact. You don’t have to be a professional athlete to make a difference! Download ThatHelps to help vetted causes and spread good every day.